Build your own solar system in Styrofoam! With a few materials and easy steps you are on your way to understanding how our solar system is arranged. 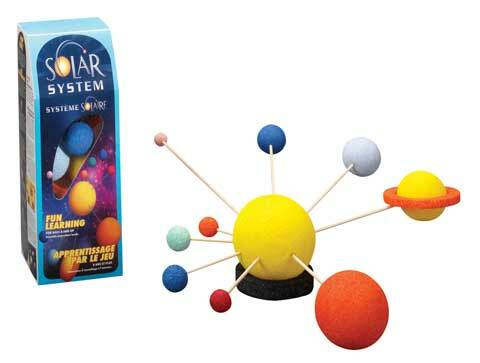 This set contains unpainted Styrofoam, dowels and instructions to build a scale model solar system. (Glue not included.) For ages 8 and up.